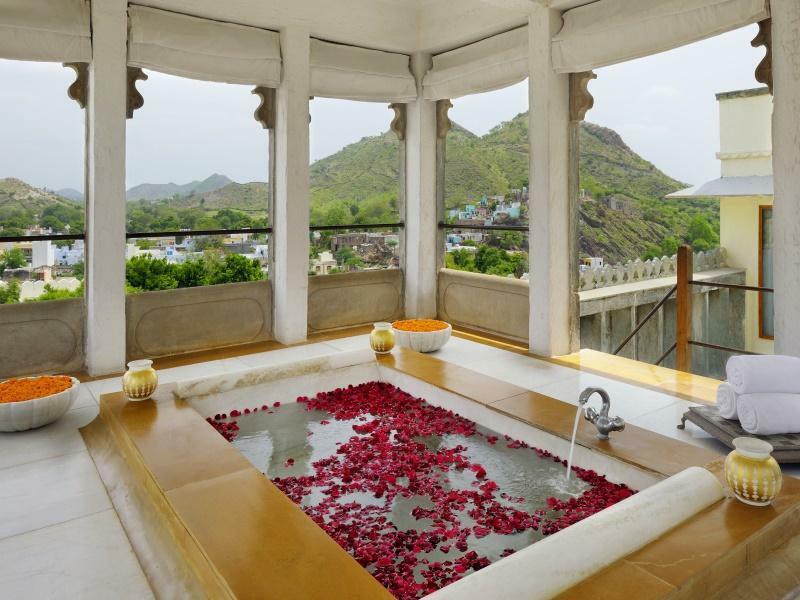 Nestled in the Aravalli mountains on the outskirts of Udaipur, RAAS Devigarh is a glorious 18th century fort-palace. 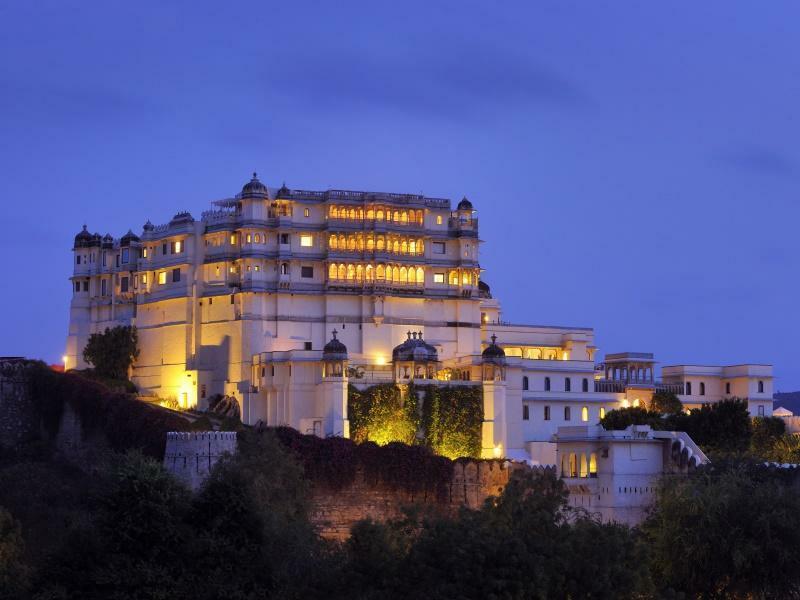 It’s grand domes, turrets and balconies evoke the rich romance and heritage of Rajasthan with an aura of fairy-tale like magic. The interior is just as pretty as what’s outside. The chic and minimalist decor perfectly juxtaposes the palace’s exterior and whisks you away into a modern, bright and airy hotel. The cool marble floors are peppered with flashes of vivid colour in the dramatic wall art and the semi-precious inlaid stones. The 39 elegant suites are spread over 14 floors. 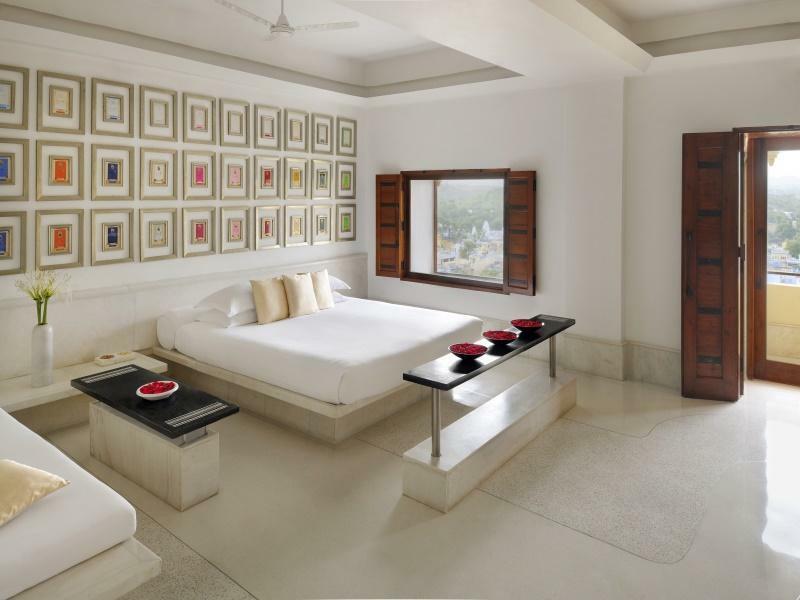 Every one is spacious, light and graced with lovely touches like mother-of-pearl headboards and marble-based beds. Subtle lighting draws your eyes to simple and sparse decorative details, such as a colourful bowl of petals or a miniature painting. With at least three rooms each, all the suites are the size of a small apartment, but the Aravalli Suites are particularly spacious. The most popular of these is the silver-themed Suite 27 – its stunning bathroom offers a rain-shower facing floor-to-ceiling glass windows that look out onto the surrounding countryside. For those seeking a more historical touch, Suite 37 off the old Darbar Courtyard features original stone carved pillars and charming views. The Palace Suites are accessed through traditional courtyards and have beautiful stone-studded walls. The Garden Suites are the entry-level category and somewhat more simple in design, though are still large in size. 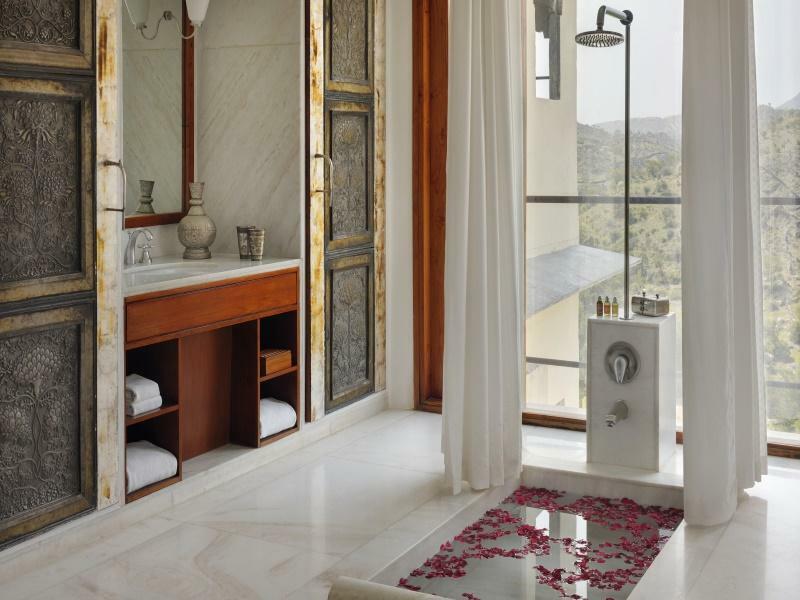 The most luxurious suite of the lot is the Devigarh Suite. It boasts a private sun deck and Jacuzzi, plus a black marble swimming pool. For those who need to keep in touch with the world, the suites offer all the amenities and facilities one would expect; including flatscreen TV’s, WiFI, and iPod docks. 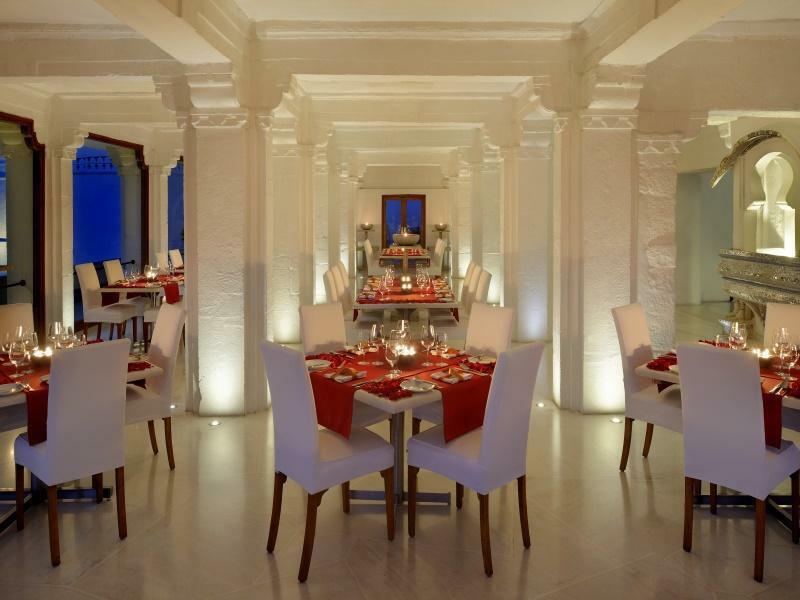 Private dining can be arranged almost anywhere throughout the palace and vast grounds, from a tucked-away-balcony under the stars to the ornately mirrored Sheesh Mahal. For more casual dining guests are invited to take their meals in the restaurant, which overlooks the pool and Aravalli hills. The menu offers north Indian specialties as well as more familiar international dishes. If you can tear yourself away from the suite, there’s lots to see and explore during a stay at Devigarh. You could indulge yourself with a fabulous spa treatment, greet the sunrise with a rooftop yoga glass or enjoy a guided walk around the palace and local village. If you’re feeling a bit more active, horse or camel rides can be arranged, bicycles are available to rent and longer treks can be taken through the surrounding hills. 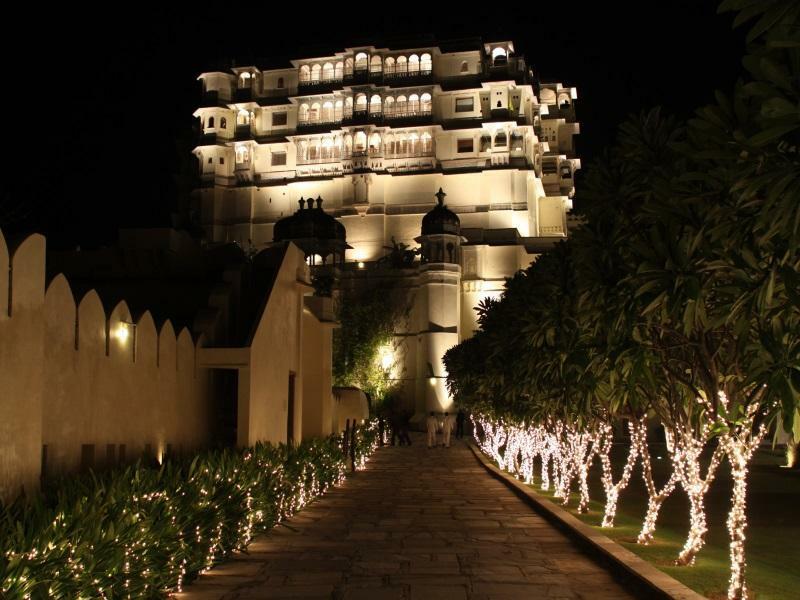 A 45 minute drive from the centre of Udaipur, Devigarh is an ideal base for exploring Rajasthan’s most romantic city. 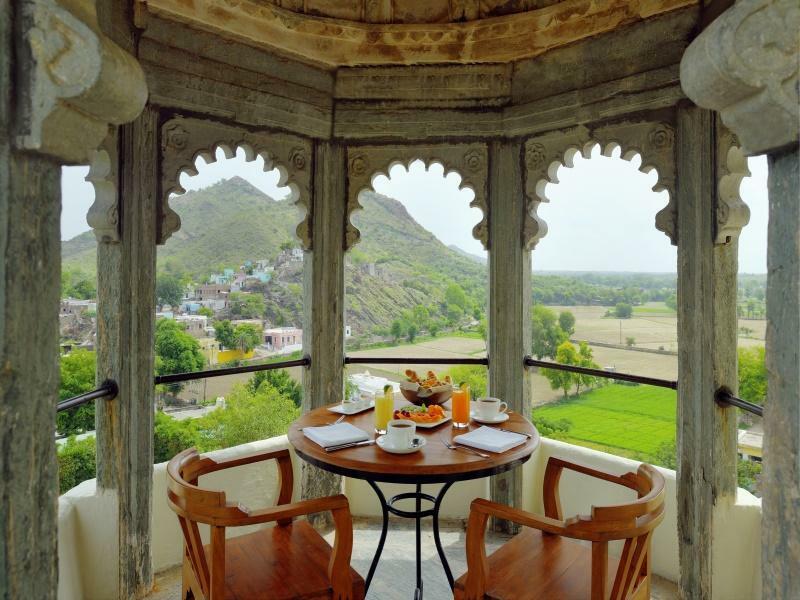 You’re far enough away to recharge your batteries in the peace and tranquility of rural Rajasthan, yet close enough that there’s a host of splendid forts, palaces and temples to take in. For a longer stay, you may like to take a day trip to the nearby Kumbalgarh and Chittorgarh Forts (amongst India’s largest and oldest forts), or the elaborately carved Jain temple in Ranakpur. Closer to the property is the crumbling 1st century temples of Nathdwara and Eklingji. 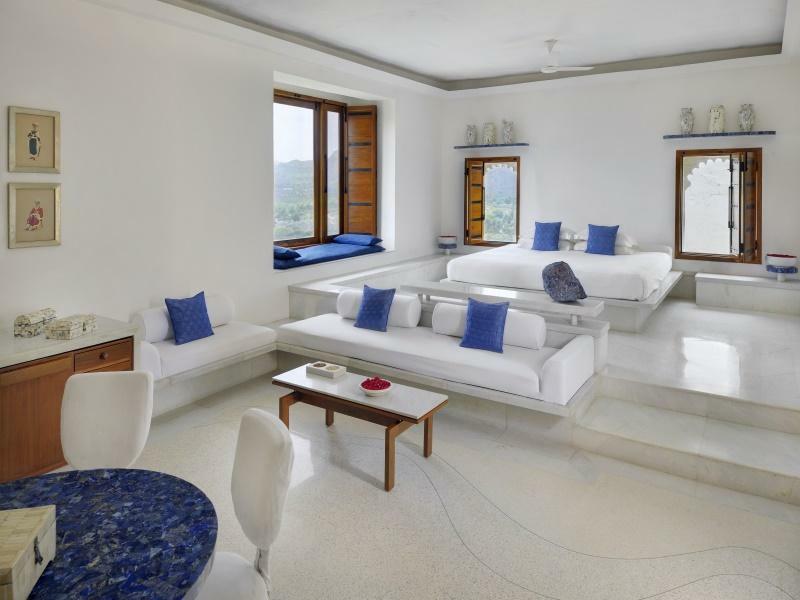 Rooms at RAAS Devigarh start from ₹28,000 per night, inclusive of breakfast and taxes. If you’d like to include a stay at Devigarh on your upcoming trip to Rajasthan, please do get in touch – as a preferred partner of RAAS, we’d be delighted to share our special rates and complimentary extras with you.